A would-be Roger Corman/AIP exploitation film, the 1972 crime drama Boxcar Bertha takes on additional layers of meaning thanks to its youthful director, the just-then-emerging Martin Scorsese (GoodFellas). 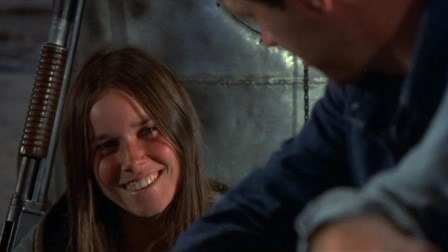 Barbara Hershey (The Last Temptation of Christ) and David Carradine (Bound for Glory) star as a pair of doomed lovers in the Depression-era American South, turning to train robbery and life on the run. Barry Primus, Bernie Casey, and John Carradine also star. Special features on this Twilight Time release include an isolated track of Gib Guilbeau and Thad Maxwell’s score and an original theatrical trailer.